Hillbrook, a suburban community just south of urban Nashville, offers a wide array of housing options just ten minutes from downtown. Single-story ranchers rule these streets, but split levels, townhomes, and the occasional cape cod also make an appearance. 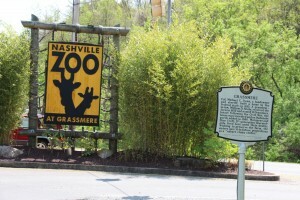 If dogs and cats just aren’t wild enough for your day-to-day life, you’ll be happy to know that Hillbrook shares a border with the popular Nashville Zoo. It’s also just a few minutes away from the green spaces at Ellington Agricultural Center and Antioch Park. For more typical conveniences, the numerous retail centers along Harding Place and Nolensville Pike make errands a breeze. Hillbrook, a suburban community just south of urban Nashville, offers a wide array of housing options just ten minutes from downtown. Single-story ranchers rule these streets, but split levels, townhomes, and the occasional cape cod also make an appearance. If dogs and cats just aren’t wild enough for your day-to-day life, you’ll be happy to know that Hillbrook shares a border with the popular Nashville Zoo. It’s also just a few minutes away from the green spaces at Ellington Agricultural Center and Antioch Park. For more typical conveniences, the numerous retail centers along Harding Place and Nolensville Pike make errands a breeze.